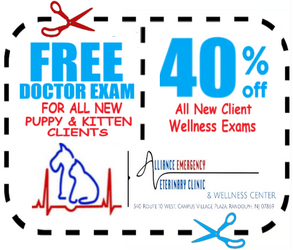 At Alliance Emergency Veterinary Clinic we offer wellness and genetic lifestyle consultations in addition to your pet's DNA testing. Begin with a wellness consultation before your pet's DNA test, get to know our veterinarians as our doctors get to know everything they need about your pet. After the results are in, come back for a genetic lifestyle consultation where our clients and veterinarians get the opportunity to speak in detail about the outcome of your pet's test. This includes a detailed discussion about your results, the future of your pet's health, what to expect, and how to prepare for your pet's unique needs.